Ever wonder whether a library near you has a database that a patron wants to use? What about when you're researching new vendors; ever wonder who their customers are already? 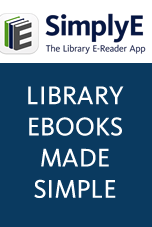 Now you can use the database on this page to search for the online resources of local libraries. Use the "Search" button below to search by any combination of library, database name or regional system (ie PLP, SCLC, etc). If you find a mistake in your library's listing, please contact us. This project is an ongoing work in progress, so thank you for your patience.